Ponytail Hair Extensions are great for that neat and easy look. This simple yet stylish hairstyle is easy to do and looks proper for just about any occasion. And while ladies out there think it’s almost impossible to do ponytails with hair extensions, it’s one of the easy hairstyles you can do! Instead of having a limp ponytail, style it up and add more volume to make it bounce with the help of hair pieces! If your human hair isn’t as full as you wish it were for a full ponytail, then read on as we show you how to achieve a cute ponytail with hair extensions! We’re sure you came here looking for a way to have even better ponytails with the help of your hair pieces. If you’re having trouble with your human hair and find it too thin to create into a plump ponytail, follow these two types of ponytail hairstyles, perfect for either casual nights out or a whole day in important events (or romantic dates!). This is perfect for work or events! 1. Create a small ponytail at your head’s crown, which will be a base when clipping in your hair extensions. 2. Using a three-clip weft, clip it around the ponytail and as close to your hair tie as possible, so you’ll still have space for clipping on other wefts. Take note that the tighter your clip the wefts, the more comfortable it will be. Continue to do clip using two and three-clip wefts, around the ponytail. 3. 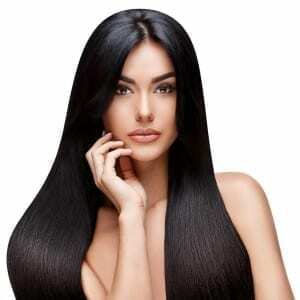 If you want to make it thicker, use one-clip wefts on the previous wefts you have put on your hair already. 4. Gather all of your hair (including your human hair and hair pieces), covering the wefts while making the ponytail. Once you have created the ponytail, smooth any flyaways, and you’re ready to go. This is one of our favorites because it looks casual but very chic! 1. 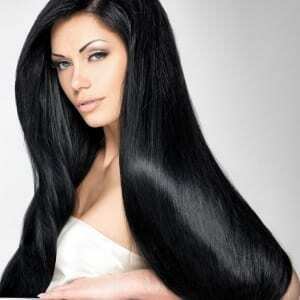 Separate a section of your hair at the front, clipping in a two-clip weft just like what you usually would. Add in more if you want to add volume. 2. Separate your hair mid-way and then flip it upside down, leaving enough hair at your neck’s nape to ensure that the wefts are covered. 3. Clip in wefts upside down to prevent the clips from pulling your roots. Once you are done clipping the wefts, tie it up in a high ponytail. 4. Loosen some parts of your hair to create the messy look. Tug the ponytail a bit for a looser ponytail, teasing it for better volume. Finish off with hairspray to secure your hair into place, and you’re ready to go out! If you’re looking for easy hairstyles to do, then the versatile ponytail hair extensions is a perfect go-to look that you’ll feel confident with. With the help of strong hair pieces and these steps, you’ll go out looking good with even better hair, may it be for a casual day out or work! We hope that this article on ponytail hair extensions helped you create a whole new hairstyle you’ll be proud of showing off! So what are you waiting for? Try following these steps today with hair pieces like clip-in hair extensions and enjoy! If you’ve got any questions or would like to share your experiences with ponytail hair extensions, then comment down below! We would love to hear what you have to think.